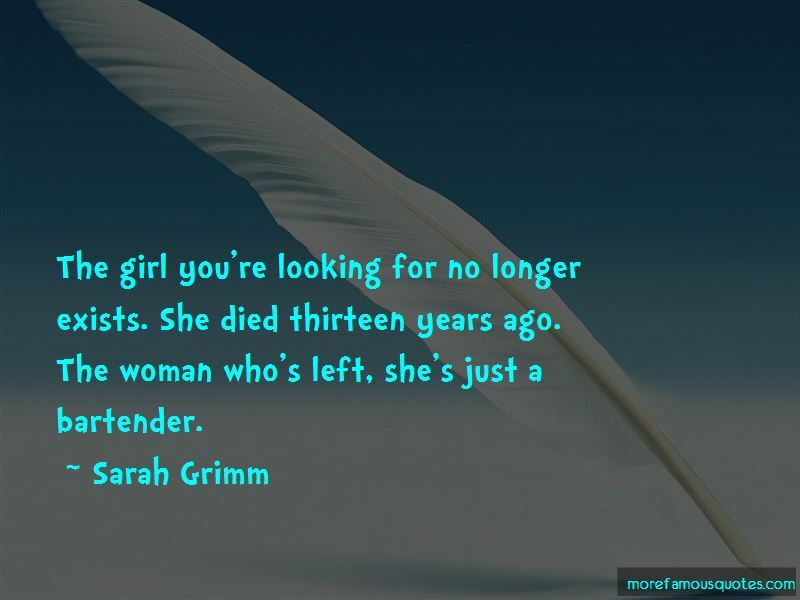 Enjoy the top 14 famous quotes, sayings and quotations by Sarah Grimm. I don't know you, not because I didn't ask the right questions, but because you never trusted me enough to let me in. You're right about me, I want more. I want all of you. The girl you're looking for no longer exists. She died thirteen years ago. The woman who's left, she's just a bartender. I miss you so much. I miss us. 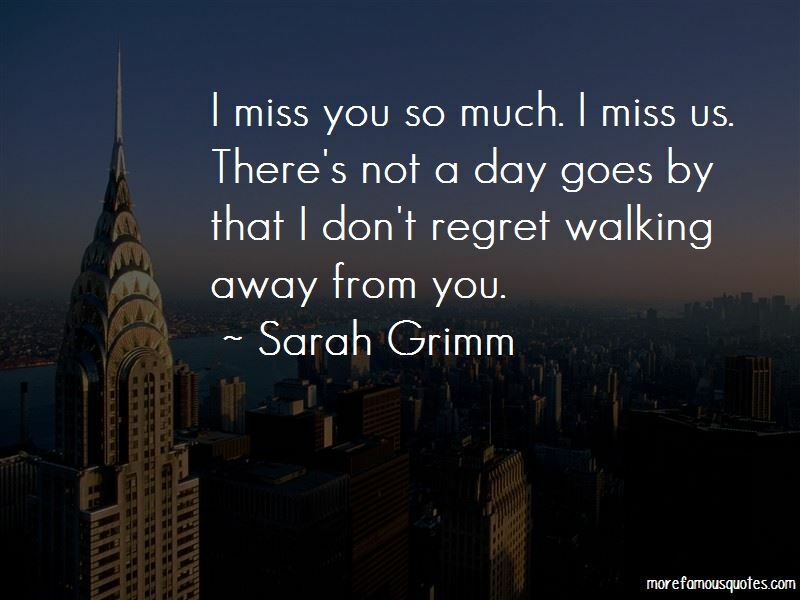 There's not a day goes by that I don't regret walking away from you. Look at the picture, Emma. Do you see his expression? He looks like he's been waiting his whole life to find you and suddenly there you are. Do you know how many people would give anything for what you have? Not the fame or wealth-the opportunity to wake up tomorrow healthy, pain free and with a future stretching out before them? You really are a ray of sunshine, aren't you? 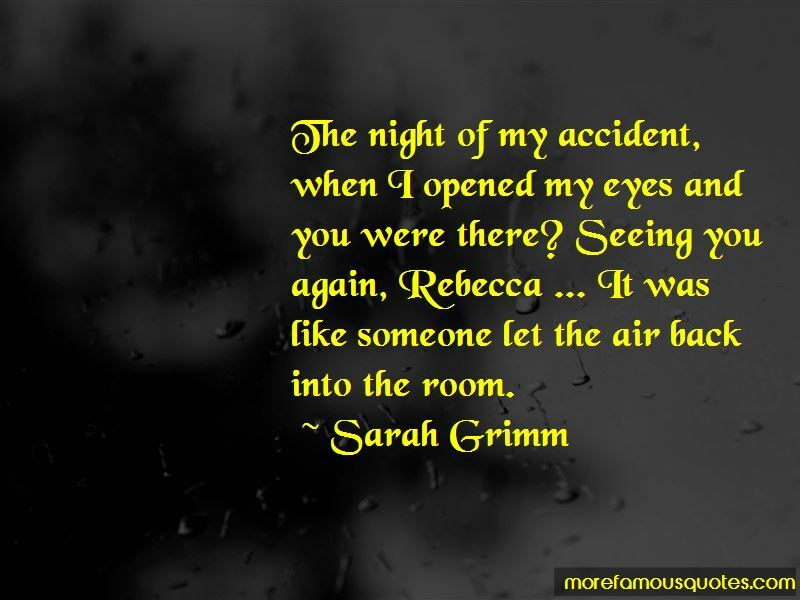 Want to see more pictures of Sarah Grimm quotes? 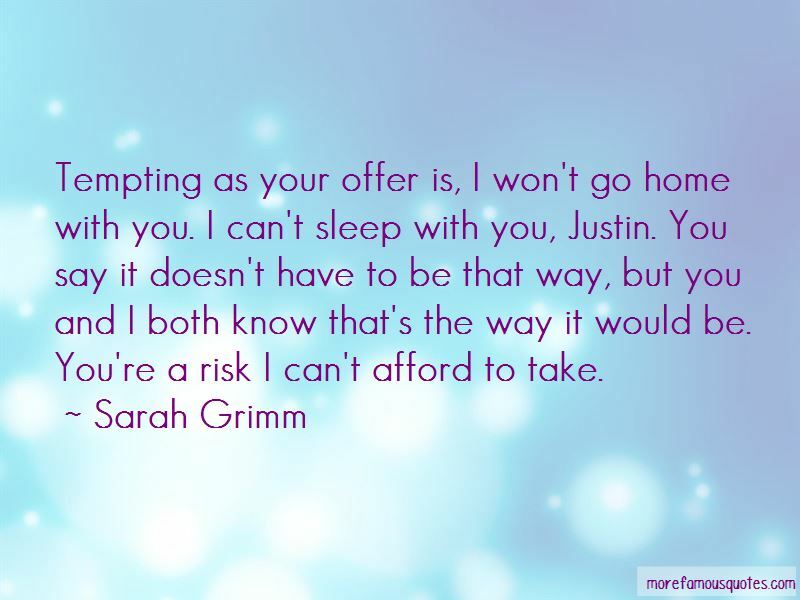 Click on image of Sarah Grimm quotes to view full size.